"A media interview is a bad time for original thought." It’s important to face the glare of the media spotlight effectively and with confidence. Our customized workshops are led by two senior executives (recovering journalists) who have coached more than 2,000 CEOs, PIOs and other spokespersons to become successful persuasive speakers in front of the camera and in front any size audience. Clearview Communications offers one of the most realistic and effective executive media training programs in the nation. Our intensive workshops include customized classroom instruction, interactive team discussion and individual coaching of every critical element necessary for a successful and effective media interview -- including successive on camera drills until you are totally on message and flawless in your presentation. Andrew Bowen, APR reviews the common pitfalls around media interviews for CEOs. Clearview works with chief executive officers around critical presentations, crisis communications and media interviews. Bowen describes four typical reactions to the prospect of media interviews: "the delegators," those that will "wing it," those that prepare, but don't get feedback and rehearse, finally, those that are consummate communicators. Which one are you? Watch the video to find out. When your reputation or your organization’s future is on the line. You are anticipating a major speech or presentation that is pivotal to your personal success or that of your organization and you need confidential assistance. You have been contacted by journalists or bloggers who want to know the details of a corporate, organizational or personal misstep that has become public, and you need help to develop an objective-driven, offensive media relations plan. If you sense that events may be unfolding that threaten your personal reputation, or those of your organization, we can help you create and execute a proactive response plan. Your need Confidential crisis communications planning and campaign execution. You need support in crafting a vital speech for which specific results or outcomes are required. You need support to address any non-crisis, incident-driven, internal or external messaging requiring specific objectives and outcomes. You are seeking to grow your verbal and non-verbal communications skills as a tactical element of your plan for professional advancement. When you need immediate and/or long-term, offensive or defensive professional communications consultation from experts who have been there, we are ready to partner with you. You need assistance in developing motivational, persuasive messaging and personal capabilities for a specific future event or for your own personal growth and development. Assistance in transforming a normally routine presentation into a memorable performance designed to excite and energize your audience. Presentation skills development for you, your key staff or spokespersons for: earnings reports, board presentations, employee meetings, staff meetings, internal announcements, event messaging, milestones, legal depositions... and more. 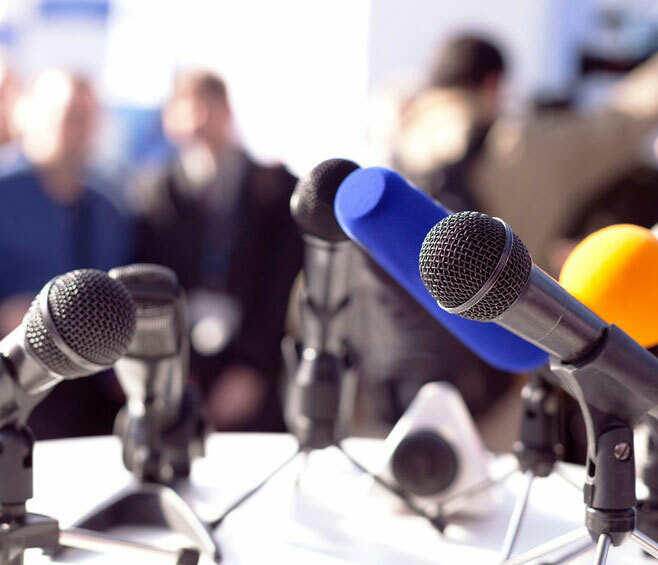 Experts at the U.S. Centers for Disease Control and Prevention (CDC/ATSDR) wanted to make the most of their interview opportunities to communicate important public health information through the news media. The Clearview/Message Masters team acted as a seamless extension of the CDC's in-house media team to train participants with varying levels of professional experience, age and understanding of the news media. The workshops prepared the CDC's doctors and scientists to organize their communications strategy to ensure their important work was communicated effectively in media interview situations and in their daily work with colleagues, other organizations and partners. On winning another client who read one of our news releases.